As you watch in the movies, a single document or a file is protected by an entire army of men. It is because of the importance of that piece of paper and the consequences of it might getting leaked and in today’s world, secrecy and privacy is becoming a rare and difficult commodity. Moreover secret hideaways and Doomsday bunkers are also commonly seen in some thrillers and catastrophic movies which seems like fiction. Did you know that all this might exist in the real world as well and the movies are actually inspired by those genuinely happening incidents around the globe. Here are the top highly guarded places in the world where a normal civilian cannot set a foot without a strict formal authorization (which is almost never!). All those documentaries and movies you watch on prison break might not picture this prison which is the tenth most heavily guarded place on this list. 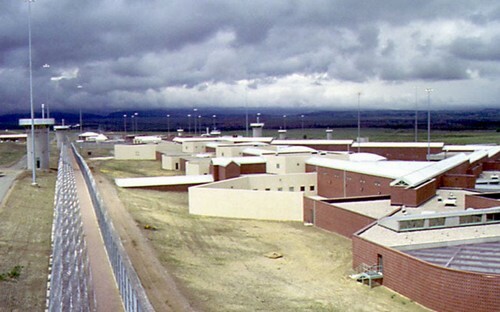 The facility is located in Colorado USA and it is the home to the most terrible and the worst criminals. It has 1400 steel doors Each of its cell is monitored 24/7 through a computerized method consisting of motion detectors and cameras on each door. Communication among prisoners is almost impossible. If a prisoner manages to escape his cell somehow, he will be welcomed by a 12 feet tall razor sharp fence which is patrolled by guards and attack dogs round the clock not to mention the huge watchtowers with floodlights and snipers ready to take a shot (it may not always be a tranquilizer!). Even the visitors are thoroughly checked on multiple checkpoints spread across the premises. See also; Top 10 Infamous Prisons in the World. The church built a facility outside the salt lake city of Utah. The facility houses around 2.4 million miles of microfilm. The secret archive contains the family records and legacies of the entire church’s members. It is protected by solid granite doors, armed guards and requires several combination codes to get in. Only the members of the church are sanctioned to enter. See also; Top 10 World’s Biggest Secrets of All Time!. Iron Mountain is actually the Western Pennsylvania Data Centre located sixty miles outside Pittsburgh. It is more like a mountainous fortress which is surrounded by a fenced armed with razor sharp wire. Previously, the facility was used as a mine but presently it houses 1.7 million square feet of Data Servers and Vaults. The Warner Bros, The Smithsonian Institution and even the US Government have their files stores in those winding vaults. The files usually contain photo negatives, original film reels, and precious historical documents such as Edison’s light bulb patent. See also; 10 Places That Are Off-Limits To Ordinary Public. The Fort Knox is literally a fort surrounded by huge fences and plenty of armed guards who patrol the area at all times. The building holds thousands of tons of gold, the US Bullion Depository and several precious historical documents such as the original declaration of Independance. Even if someone managed to pass the fences and trick the guards, a 22 ton blast door will await them which conceals the main vault. See also; 10 Truly Beautiful Abandoned Places. This Naval Base in Cuba has operated since 1903 although several attempts to shut it down have been made in the past. By 2002, the island facility became a detention camp for the terrorist and the prisoners of war from Iraq and Afghanistan. The prisoners held there are detained indefinitely without a trial and are considered too dangerous to be released. 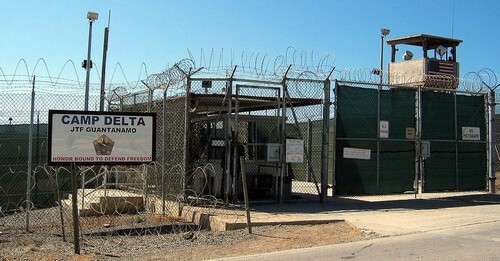 Like other prisoner facilities, this facility is also patrolled by heavily guarded militia and encompassed by electrified fences with barbed wire. Rumours are that the field is also surrounded by active minefield. As much as the island is hard to approach, wandering through an active minefield is not a good idea. See also; Top 10 Strangest Places on Earth. 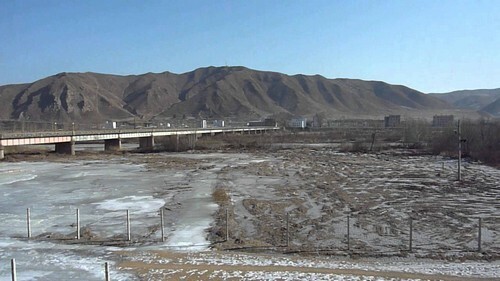 The Tumen river kind of connects China, North Korea and even Russia so it is easy to float in it in order to bypass the borders. Most people who are sick of the atrocities of North Korean regime have tried to deflect towards China through the river, some have got through while some have failed because now the coastline is guarded by the merciless North Korean army. Refugees try to cross near the Chinese border even if it is shallower and freezes over the winter but that spot is amongst the most heavily guarded points now. See also; Top 10 Largest Rivers in the world. If it’s a list for most heavily guarded places on the planet, how can Area 51 be left behind. 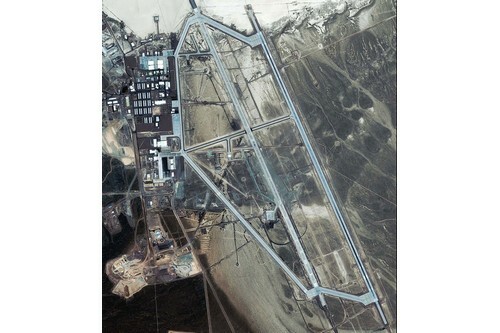 This is an air force base located in the deserts of Nevada where nobody can trespass even out of curiosity. Area 51 is said to have been doing everything with the extraterrestrial phenomena, UFOs and Aliens, although the US government denies these allegations. The rumours regarding the area being a base of such secret alien operations has only escalated through the decades. Some people say that the remains of alien bodies and spaceship debris is stored inside for experimentation, other say that biological experiments for weapon modification are carried out in there. What do you think? This is the most interesting vault and seems worthy of all the security! 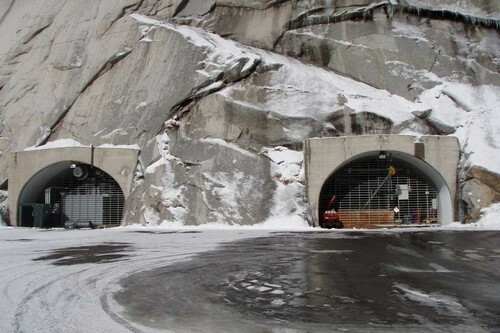 It was opened in 2008 and is also known as the ‘Doomsday Vault’ which would hint the eerie uniqueness and importance of it. It is located 8-10 miles from the North Pole and was designed to store all kinds of seeds, and by all kinds, I truly mean all kinds. The seed vault acts like a safe deposit bank for “seeds”.The storage compound’s location itself serves as a layer of protection as it has been untainted from all the manmade and natural disasters till now whereas the seed banks of Philippines, Iraq and Afghanistan are destroyed completely. 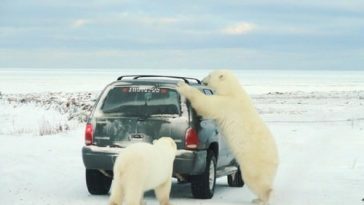 and who is going to travel all the way to the freezing North Pole to steal a couple of seeds anyway? The facility has a storage capacity of 4.5 million seed samples which shall be used in the case of a natural disaster. Even though the whole world knows about the wikileaks there might be much more to know, that’s why it is the second most heavily guarded place on this list. After the 2010 disaster of information leakage, the wikileaks founder Julian Assange decided to move his servers to a more secure location. He chose an abandoned nuclear bomb shelter in Sweden which was certainly a pretty secure choice because it looks more like a 007 villain’s lair than a facility! 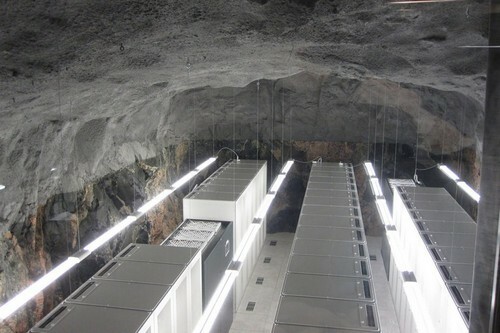 Built within a mountain, the servers are lodged hundreds of feet below ground in specially devised chambers. The facility even has its own power supply auto generated at all hours. Air Force One is currently a Boeing 747 Jet which belongs to the US Government. It has been serving as a personal aircraft and a mobile command centre for the acting presidents of US since President Roosevelt’s time. 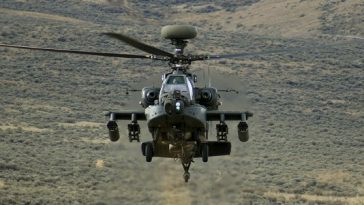 The plane is equipped with various countermeasures against attacks and is also shielded against EMPS. Only the US president and those personally invited by him can board the plane. While in air, AF1 is escorted by elite fighter pilots and refueling jets which allows the jet to stay in air constantly. If you want to watch a fictional copy of it in action, watch the movie Air Force One!